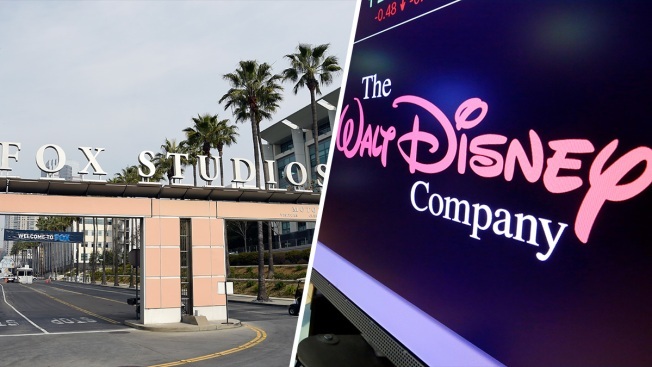 L: Fox Studios in Los Angeles R: The Walt Disney Co. logo appears on a screen at the New York Stock Exchange in 2017. Cable and telecom companies have been buying the companies that make TV shows and movies to compete in a changing media landscape. Although internet providers like AT&amp;T and Comcast directly control their customers' access to the internet in a way that Amazon, YouTube and Netflix do not, they still face threats as those streaming services gain in popularity.